What are materials and data? Materials are recoverable items using the ship’s and the SRV’s cargo scoops. In the case of the ship, it is possible to use collecting drones to retrieve them. Data are downloadable using the scanners of the ship and of the SRV. Materials and data can also be obtained as missions rewards. The elements are natural chemical elements (Arsenic, Manganese,…). What is the purpose of materials/data? In the cockpit interface (at right) there is a screen for the materials and one for the data, allowing to know and manage its stocks. EDEngineer is a PC software dedicated to this. It is very complete. The EDBoard website offers an equivalent of the information of INARA. The EDSM website (facilities criteria) also allows to do a search of systems hosting material trader and/or technology brokers. The most classic source of materials are the landable planets. 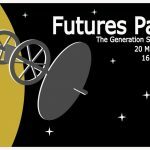 To find out what elements a planet has, it is necessary to scan it with the FSS (Full System Scanner). This gives the list of the elements it contains with their proportions. This information is available directly in the FSS interface (top right, 3 scrolling screens), but also in the system map (second tab). Each item collected gives 3 units. To find the deposits you have to use the SRV radar. Each type of deposit has its own energy signature on the radar, and a characteristic sound. The WaveScanner website allows you to learn how to recognize them (and to distinguish them from human or extraterrestrial signals). Meteorites often appear in groups of 2 or 3. Each once-destroyed deposit provides approximately 4 to 8 fragments. Geological planetary (geysers, fumaroles,…) or biological (Brain Trees, Pumkins,…) points of interest are good areas for collecting materials. Indeed on a part of the formations (geysers for example), there are crystals (for geological POI) or biological formations (for biological POI), which when one shoots it unhook and provide a fragment of material. The materials are those of the planet, and have a good proportion of rare/very rare (and regenerate slowly, avoiding having to do disconnection-reconnection). 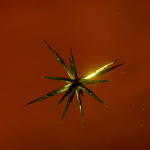 The Barnacles (Thargoid structures) and to a lesser extent the Thargoid bases contain spikes, which once destroyed also provide the elements of the planet. The advantage is that there are many for each barnacle. It is necessary to provide disconnection-reconnection, or round trips in supercruise to regenerate the spikes. Planetary POIs are probably the fastest way to collect elements. When mining in asteroids, in addition to the refined fragments, each asteroid provides between 0 and 5 materials. Warning: There are no rare or very rare elements in asteroids. Some missions give elements as rewards. Usually 1 to 5 units. Where to harvest manufactured materials? A number of manufactured materials are dropped when an NPC ship is destroyed. The types of materials dropped depend on the type of vessel. A number of manufactured materials can be found directly in unidentified signal sources. It is possible to find many manufactured materials. 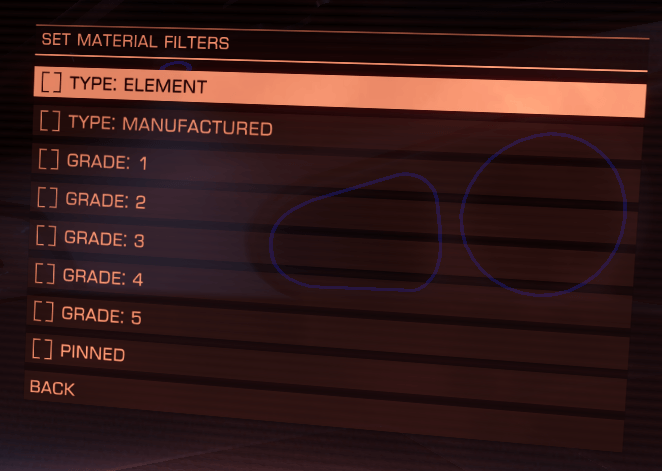 Planetary POIs are probably the fastest method for harvesting manufactured materials. Disconnections/reconnections or round trips in supercruise allow to refresh the instance. These bases are all the materials usually dropped during the destruction of vessels (all types). Some components require the destruction of Gardian sentinels (which retaliate). Some components need to destroy Thargoid sentinels (which retaliate). Some missions give manufactured materials as a reward. Usually 1 to 5 units. 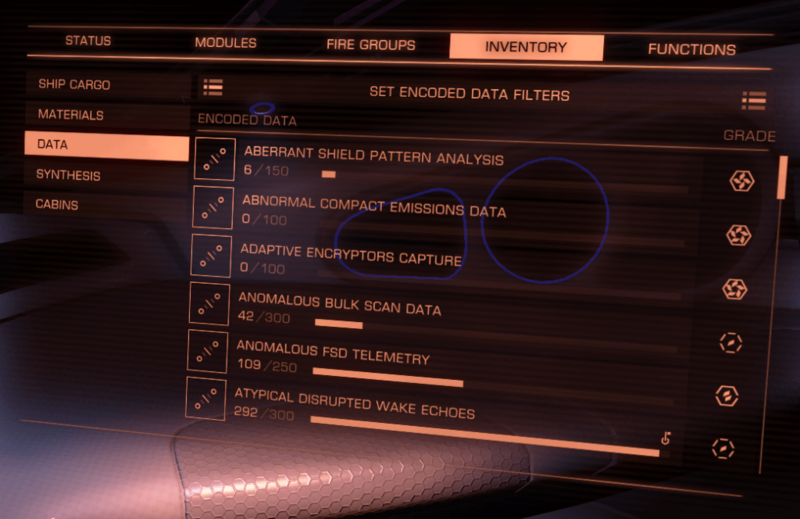 Scanning ships, either in supercruise or in normal space, gives regular data. A number of data can be scanned in unidentified signal sources. Satellites present in different types of space POI also give data. The only way to obtain certain data is to scan the FSD wakes left by the vessels making a jump. 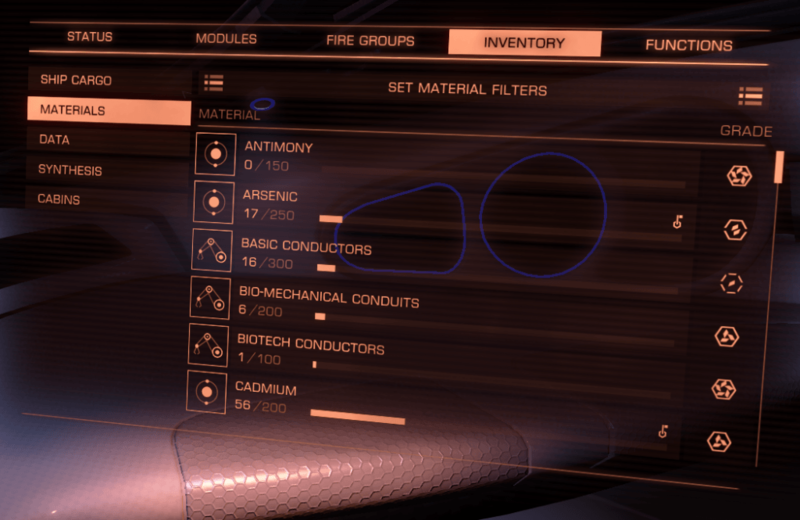 For this it is necessary to equip on its vessels a FSD wake scanner. Data can be obtained by scanning the data points in SRV, present either on an active basis or on an abandoned basis. Planetary bases are visible from the system map (icons other than stations). The EDPathFinder software allows to locate interesting bases to scan. 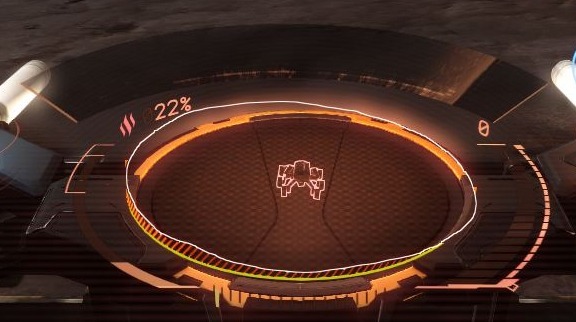 A relog is enough to scan the same data point for planetary bases. This software uses your logs to offer you a database not already scanned recently. Some planetary POIs of human origin (abandoned bases) allow the scan of data points in SRV. It is possible to find it on the Canonn website. Some missions give data as a reward. Usually 1 to 5 units.